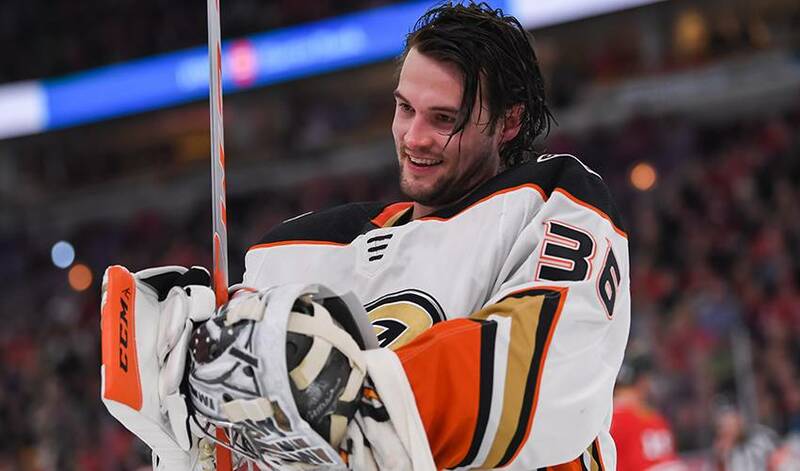 ANAHEIM, Calif. — Goalie John Gibson has agreed to an eight-year, $51.2 million contract extension with the Anaheim Ducks. The team announced the deal Saturday. Gibson is signed through the 2026-27 season. After breaking into the NHL in 2014, Gibson has been a steady starter for the Ducks for the past three years. He set career highs last season with 31 victories and a .926 save percentage while playing in 60 games. The 25-year-old Gibson also has appeared in 26 playoff games over four post-season campaigns with the Ducks. Gibson has the highest career save percentage among any goalie to appear in at least 150 NHL games since 1955-56. His .923 career save percentage narrowly tops Ken Dryden (.922), Dominik Hasek (.922) and Tuukka Rask (.922).